There was a telephone on a wall in a kitchen. When he began demonstrating mobility, I removed the telephone as part of my baby-proofing initiative. The long cord connected to its nestled handset was easily within his newly found reach. 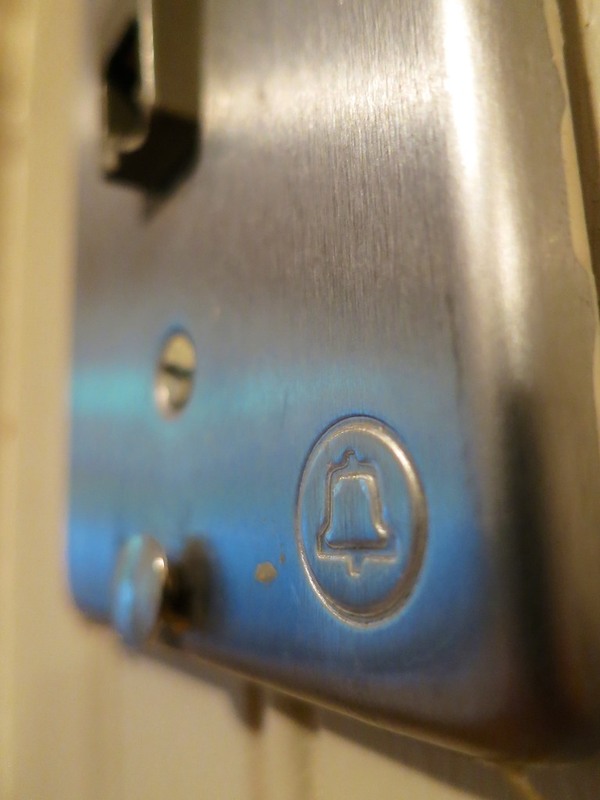 And so the bare silver phone jack plate remained exposed on the wall for years as parental needs focused my attentions far beyond the aesthetics of telephony display. But I had not forgotten. The other day, I’d endured enough. Walking past it day after day… year after year! I simply had to address this glaring, raw eyesore. Actually, I didn’t mind so much how the wall plate looked. That’s what really got to me. First, I had the urge just to put the silly phone back in place. But I still didn’t want a hanging cord dangling there for my four year old to play with. Next, I looked around for a cordless phone solution. Of course, a cordless phone would need some power, and there wasn’t any juice nearby. So I started to think more creatively and expand the possibilities of what the replacement could be. Perhaps I could attach another piece of gear that would benefit from merging with the telephone jack. I read about some tech that could be powered by the mini-voltage in the phone line… like a small LED lamp. So I figured, maybe it was just time to let go and retire the thing. While surfing around for other ideas, I found some online comments from other lazy humans who had cleverly hung picture frames over their unwanted phone plates to disguise their existence. But that kind of Band-Aid approach wasn’t quite what I was hoping for. I desired something more elegant. I was looking for some sort of camouflage that could mount right onto the plate, like the phone once did. I first began exploring the idea of attaching a simple block with hooks for keys. Someone must have thought of that, right? …not that I could find. Finally, I discovered an inventor who had. It’s called the Telephrame, and its awkward name suggests its simple solution. 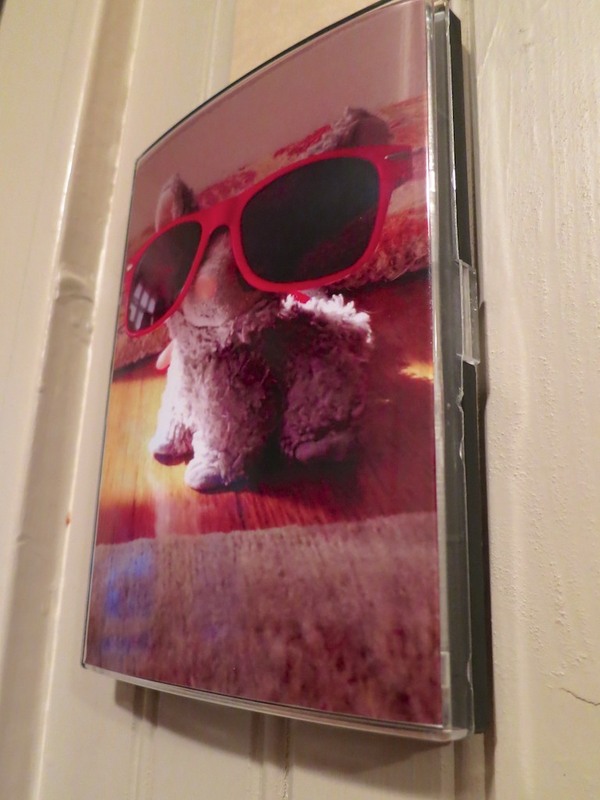 It’s a 4”x 6” mountable photo frame that attaches right onto your telephone wall plate. The Telephrame was invented in 2011 by a Minnesota guy named Brian Roban. It appeared to be a home-grown product, and though I didn’t find much recent press on his ‘invention,’ the Telephrame’s Facebook page still appeared to be somewhat active. So I decided to go ahead and invest two sawbucks on his very analog but satisfying solution. The Telephrame goes for $14.99. Believe it or not, you can accessorize it! I added a cork-board strip for $1.99. I didn’t go with the full-sized cork board for an additional $4.99. But I couldn’t help but also order the dry erase marker/eraser for an extra penny. Apparently the Telephrame can also double as a dry erase board. Brian accepts PayPal… so I didn’t see a downside to investing in my very own Telephrame. I had even begun to accept its strange (though obvious) naming convention. For $20.86 (includes shipping and handling), I was ready to go! Unfortunately, my Telephrame looked rather unimpressive. The plastic exterior was kind of cheap, and the frame’s dimensions were slightly shorter than 4” x 6.” So I had to trim my photo down a tad. But the big question is… did it work? It took a little effort to slide the Telephrame down over the phone plate, but eventually I got it properly in place. …and Voila! It looked just fine. Instead of the industrial blotch I’d grown so accustomed to, now I viewed a photo my son recently snapped of his favorite stuffed animal, Kitty. I’d call that real progress! So the Telephrame isn’t a home run for me due to its mediocre construction quality, but I do give it a passing grade. Especially considering there’s nothing else out there I could find that comes close to solving my problem! So Babe, you actually got the job done!